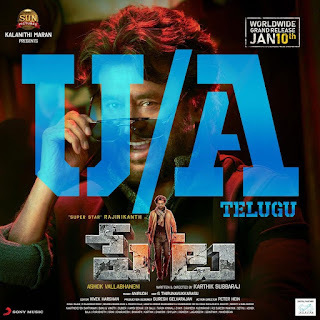 Home / Exclusive / News / Tollywood Pongal Releases 2019: Who is the winner? Tollywood Pongal Releases 2019: Who is the winner? Sankranthi is the best season for Tollywood filmmakers who await to release their big-budget movies for the perfect holiday season. For years now, top stars are gracing the big-screens with their respective movies for Pongal, and despite competition they stay in the race for entertaining the audiences. luding NTR Kathanayakudu, Vinaya Vidheya Rama, F2 Fun and Frustration and Petta. Here's our Firstshowz.com exclusive on Tollywood Pongal Releases: Who is the winner? Tollywood Pongal season will begin with Bala Krishna's NTR Kathanayakudu, the first part of NTR Biopic on January 9. 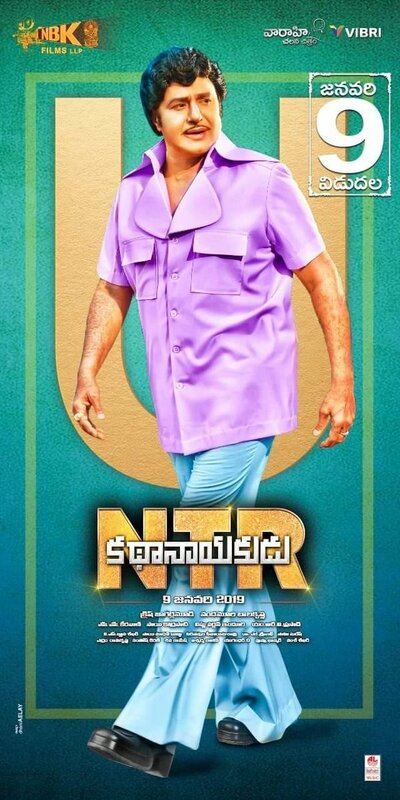 Biopics are the current trend, and when the film is based on our Telugu pride, Legendary actor turned politician Nandamuri Taraka Rama Rao, it's going to be epic. Directed by Krish Jagarlamudi, NTR Kathanayakudu is jointly being produced by Sai Korrapati, Vishnu Induri and Balakrishna. Bala Krishna has pinned high hopes on NTR Kathanayakudu and he is quite elated with the first copy. A commercial potboiler is a must for Sankranthi season, and Ram Charan who had enjoyed Pongal success previous years will be arriving with this massy treat Vinaya Vidheya Rama. Boyapati directed VVR will be a perfect treat for masses as well as Mega fans. 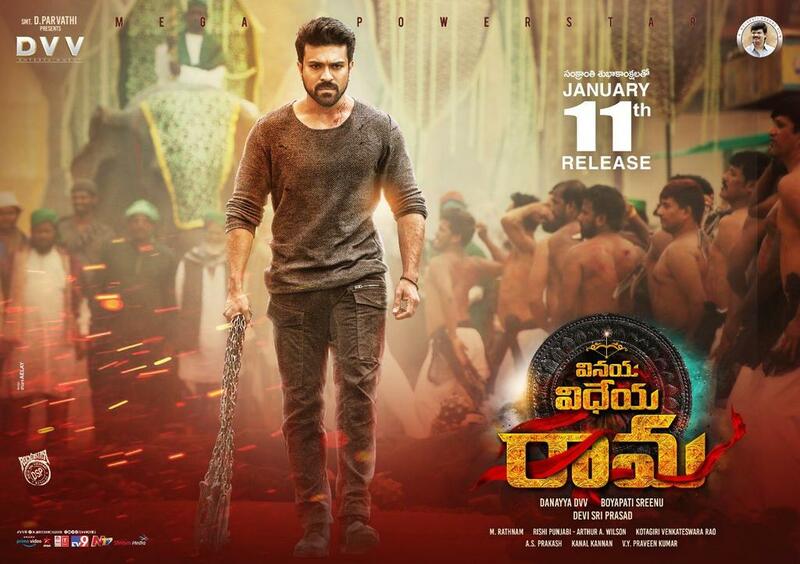 Ram Charan chiseled look, Boyapati Srinu's high voltage action sequences, Kiara Advani's glamour are all going to be the major highlights of the movie. DVV Danaya produced the film under DVV Entertainments banner. Vinaya Vidheya Rama is hitting the big-screens on a grand scale on 11th January. Family entertainers that are packed with unlimited fun always win at the box-office, and Venkatesh, Varun Tej starrer F2 Fun and Frustration seems promising. The released teasers and theatrical trailers released are hilarious with loads of commercial elements. Anil Ravipudi is on a high with back-to-back hits in the form of Pataas, Raja The Great, Supreme and now F2 seems to join his hit streak. Dil Raju produced the film on SVC banner. Super star Rajinikanth’s Petta is being dubbed into Telugu version with the title Peta and the film is scheduled to hit the screens on January 10. Rajinkanth who enjoys huge fans base worldwide will be gracing the big-screens this Pongal competing with the top Telugu releases. The film is directed by Karthik Subbaraj and it is bankrolled by Sun Pictures. Ashok Vallabhaneni is releasing in Telugu. So Get Rajinified with Peta this Pongal. 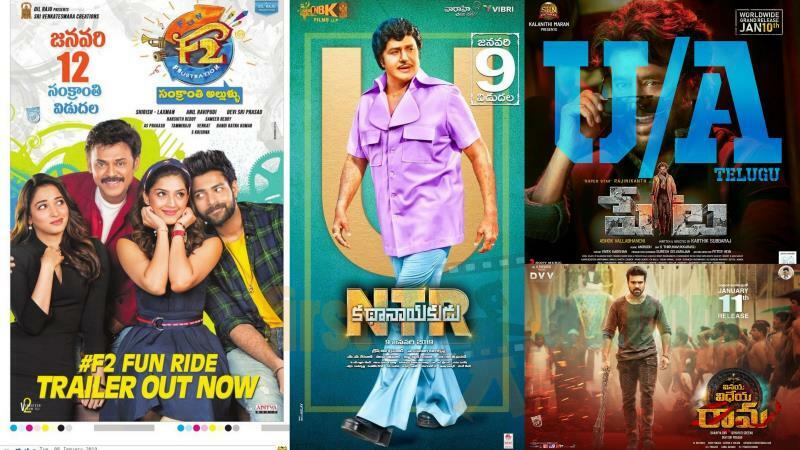 So find out Who'll win this Sankranthi with the latest Tollywood Releases including NTR Kathanayakudu, Vinaya Vidheya Rama, F2 Fun and Frustration and Peta. Watch out this space on Firstshowz.com.